A dollar a day keeps the vet away! Bumped into this little guy today on Newbury Street. He is a Jack Russel mix, his name is Max. 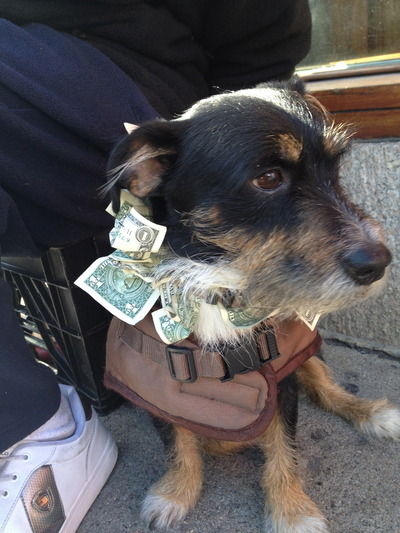 If you see him out and about, add a dollar to his collar!